It has been a busy start to the year for Lucid Group, who kicked off 2016 with six new employees starting in various account management and medical writing roles. This takes the total number of Lucid Group employees to almost 100 people. The new employees embarked on a comprehensive 4-week induction programme together, meticulously organised to ensure they all gain exposure to, and an understanding of, the business and culture at Lucid Group. Jan Steele (Lucid COO) commented, “It is vital that all our new employees get to experience what makes Lucid such a unique and exciting organisation to work for right from the start. At Lucid, we believe we should make a difference in everything we do. This includes making a difference to our clients, the experts, our internal teams, and ultimately to patients too”. The induction programme certainly looks to be a great a mix of theory, hands-on practice and fun. 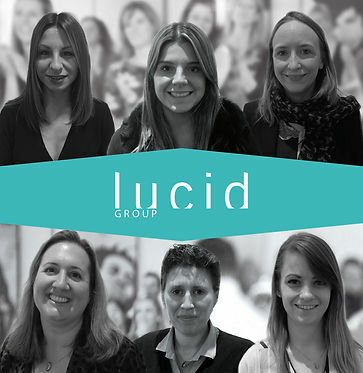 All the new employees are taken through Lucid’s unique approach to programme development, called ‘Advanced Outcomes’. This is a 5-step framework for achieving specific, measurable changes in behaviour, and is applied to most medical education programmes to advance clinical practice and improve patient outcomes. They will also be introduced to the different teams and departments, and be assigned a buddy who will be their mentor and ‘go-to person’ for any questions they may have. Lucid clearly never stops learning, improving and developing, striving to be the best and improve patients’ lives. 2016 has certainly got off to a strong start, and we will be following up with the new employees in 6 months’ time to see how they have got on, and to reflect on what they have learnt so far.